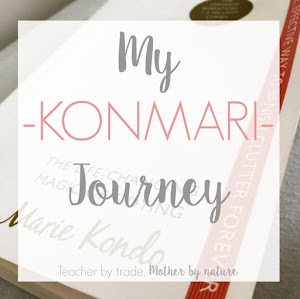 Last year (2016) saw me going through the KonMari method with my OWN belongings and now that I have completed 'My KonMari Journey', it's time to get stuck into the kid's stuff. For those who don't already know, I have two children: Miss B, soon to be 12 years old and Master M, soon to be 3 years old. 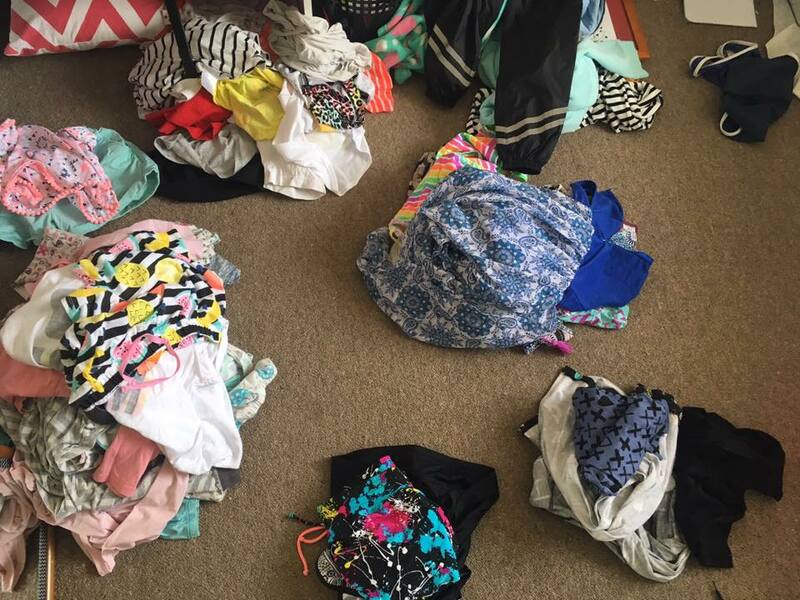 "The KonMari Method is to tidy all at once and in the right order. 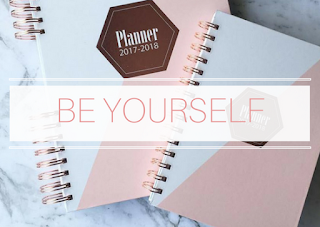 Always start with clothes, then books, followed by documents, miscellaneous (e.g. kitchen), and then finally sentimental items. 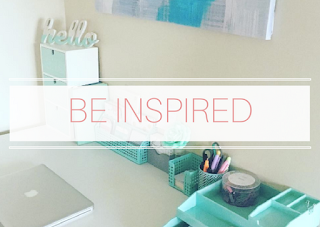 If you tidy room by room instead, you'll spend the rest of your life tidying." 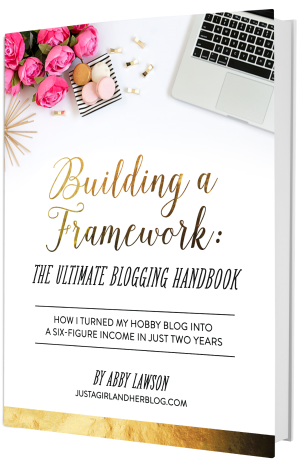 I have broken this post into THREE parts - BABY, TODDLER & TWEEN. 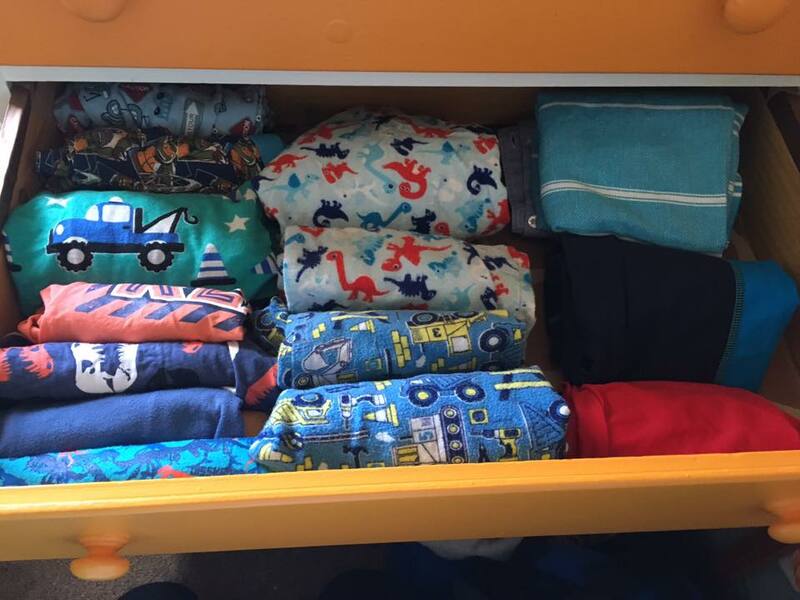 I started a system in back in 2014 for all my son's baby clothes. 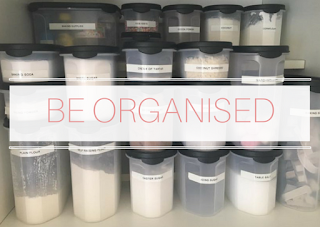 I had containers with labels, but as the months went on, it started to get out of control. 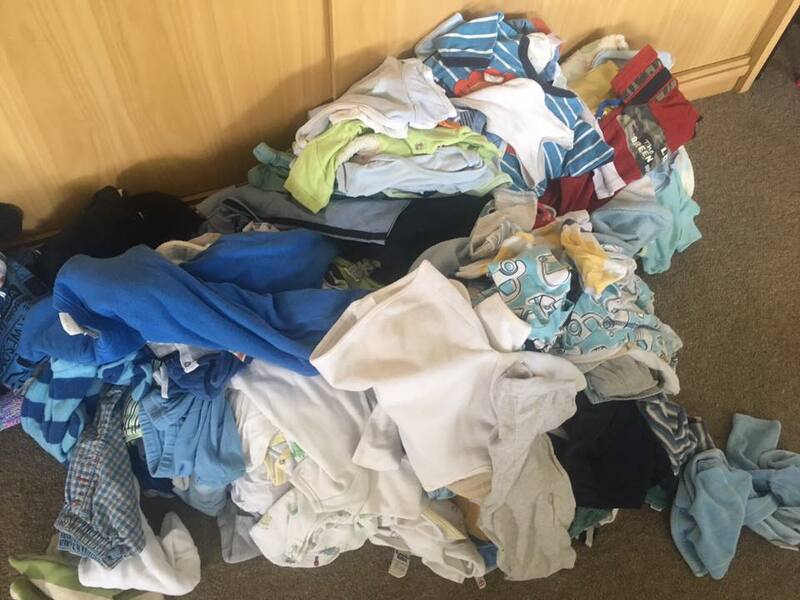 Back in September 2016, I grabbed all of my son's baby clothes out of the wardrobe and other places I had them stored, and pulled them into the lounge. They were all mixed up and it was doing my head in. So I emptied out all the (40L and 60L) containers and bags, sorted them into different sizes - NB, 0-3, 3-6, 6-9, 9-12, Size 1 and Size 2 and then corralled like items together (e.g. tops, bottoms, onesies). 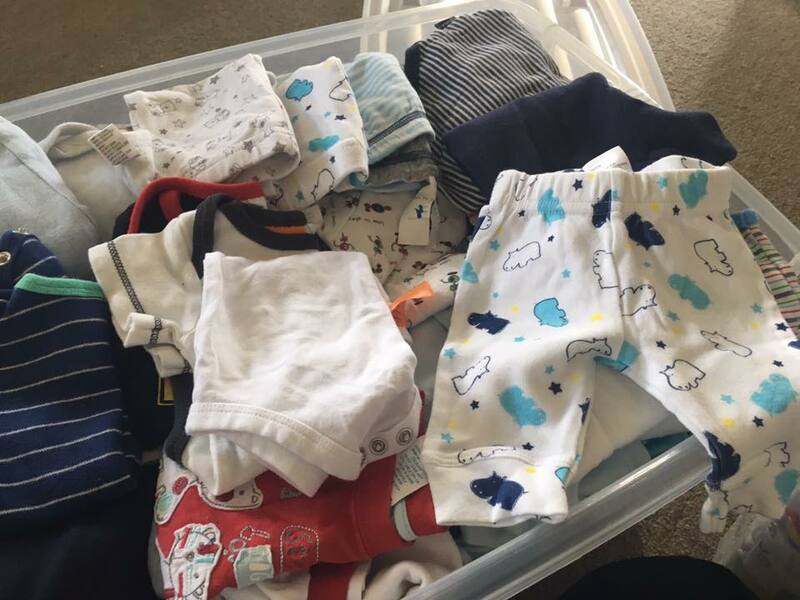 For me, it was better to sort by size because if any of my friends or family were having a baby or needed a specific size, it was much easier to find, rather than sifting through 6+ containers. It took me a couple of hours to go through all of the clothes - there was A LOT. 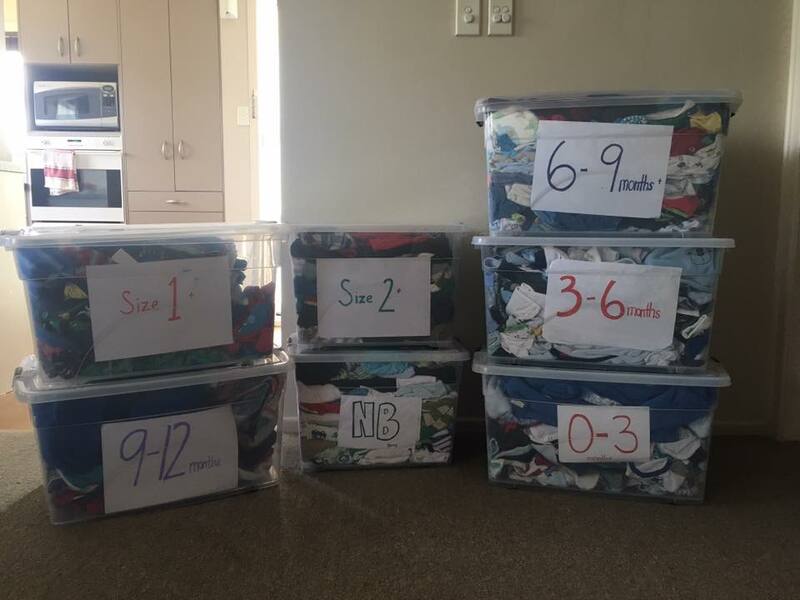 The mission was to 'sort them into categories' so when it came time to KonMari the clothes, they were already sorted into sizes. 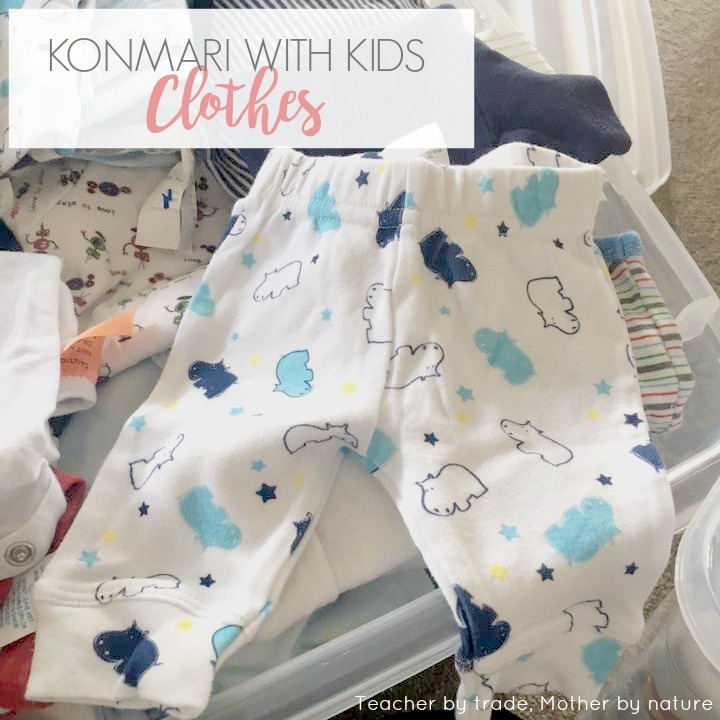 Fast forward a few months...Up until recently I had the containers stacked up in the corner of my son's bedroom, waiting for me to KonMari them. I had even more reason to go through the baby clothes because two of my friends were expecting little boys around the same time. So I told them I would make them up a container of mixed sized baby clothes for the first year. So I started with the bigger clothes (Size 1) and selected a few items of each sub-category (e.g. 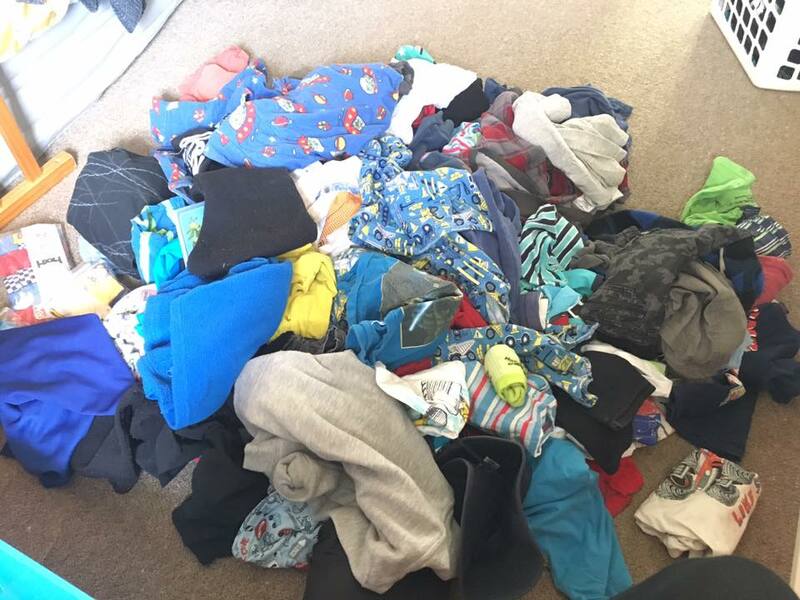 tops, bottoms, onesies, pjs etc) and put them into the different piles. It was easier going from biggest to smallest because it meant I wasn't going to double handle the clothes. I did the same thing for all of the sizes - Size 1, 9-12 months, 6-9 months, 3-6 months and lastly NB-3 months. 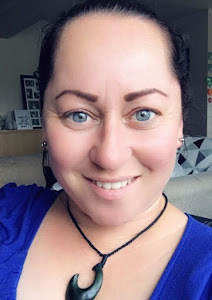 It was nice taking a trip down memory lane - I must admit I did get a little clucky and emotional especially when I got to the newborn clothes) - they were so little (even though my son was 10lb 14oz!). I held each item in my hands, if it sparked joy - I kept it...if it didn't - then it was sorted into one of the other 4 piles. From all of those containers, this is all that sparked joy - one plastic shopping bag! Amazing right? I thought I was going to hold on to a lot more than this. 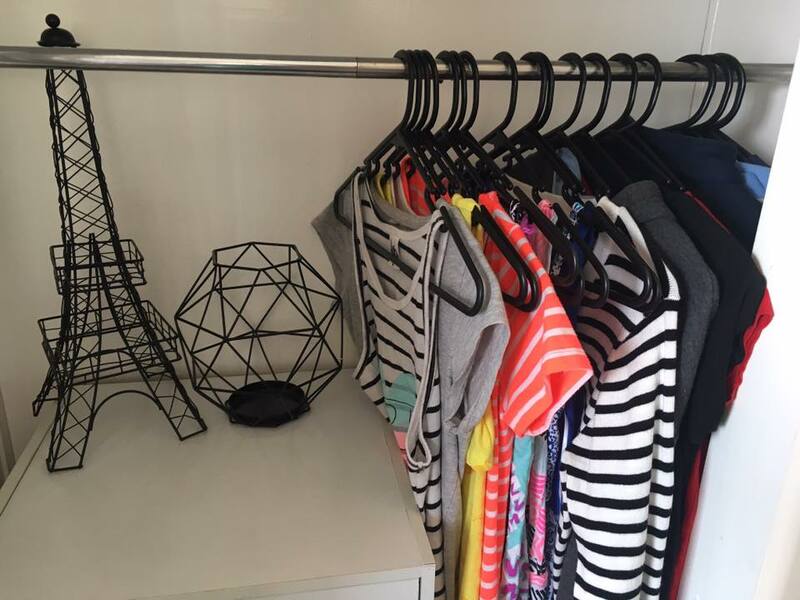 However, I know that the gift of giving and seeing the new babies in my son's clothes will bring me more joy, so I am happy with what I kept, and most of the items are neutral colours, so IF we do have another baby, he/she can wear them. I knew my discard pile would be small because when I originally went through the clothes, I discarded a whole bunch that were ripped and stained, items I wouldn't pass on to other families. 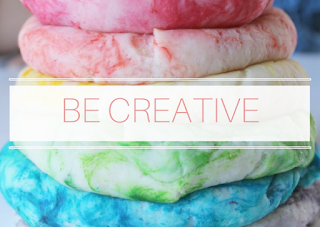 Depending on the fabric, instead of putting them in the rubbish, you can re-use them as rags for cleaning. I felt really good making up these containers for my friends who were expecting little boys. 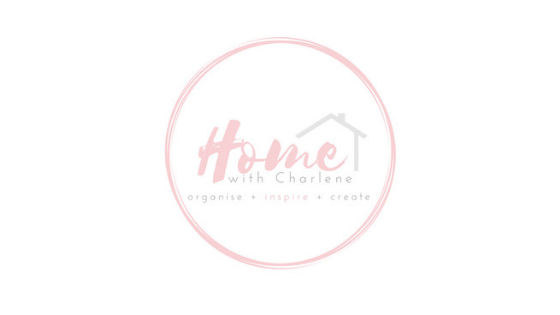 I was able to help them out by giving them enough clothes to last them the first year - their little boy's wardrobe sorted! One friend requested 3 months to 1 year because she already was given a whole lot of newborn clothes from family members, and they really do grow out of them quickly. 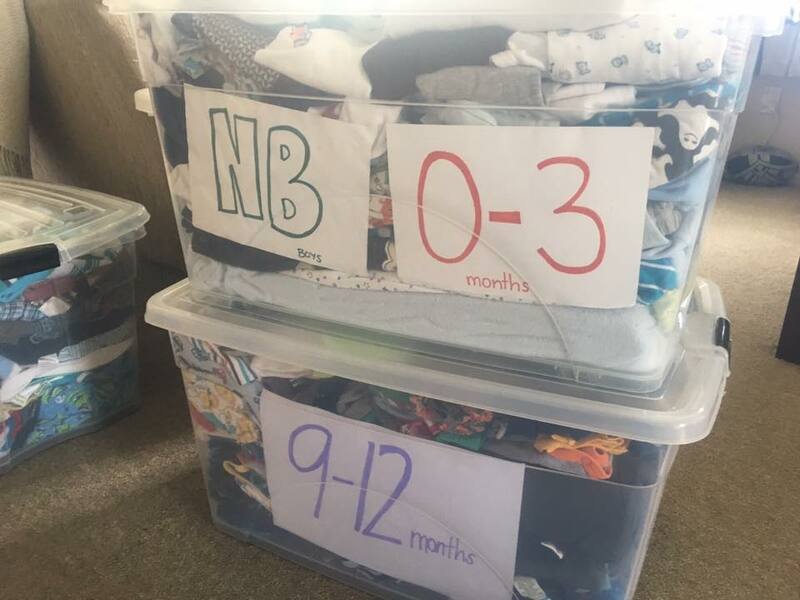 My other friend had two containers (1 with NB-3 months, and 3 months - 1 year, plus some wraps and a few blankets). I used the labels I had made back in 2014, so she could see what sizes were in each container. To finish it off, I wrapped some ribbon around the containers, to make them look like gifts. My friends were very happy and very grateful! 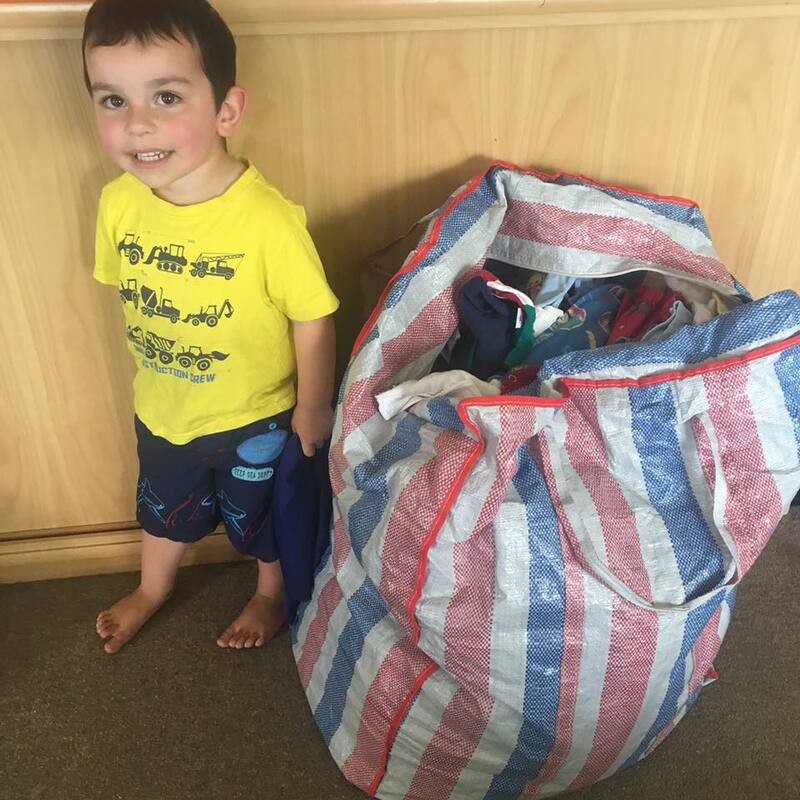 I managed to fill a big canvas bag of baby clothes, ready to be dropped off to Plunket, who make up Kid Kits for families in need - it's such a great initiative. I am really glad I was able to help. 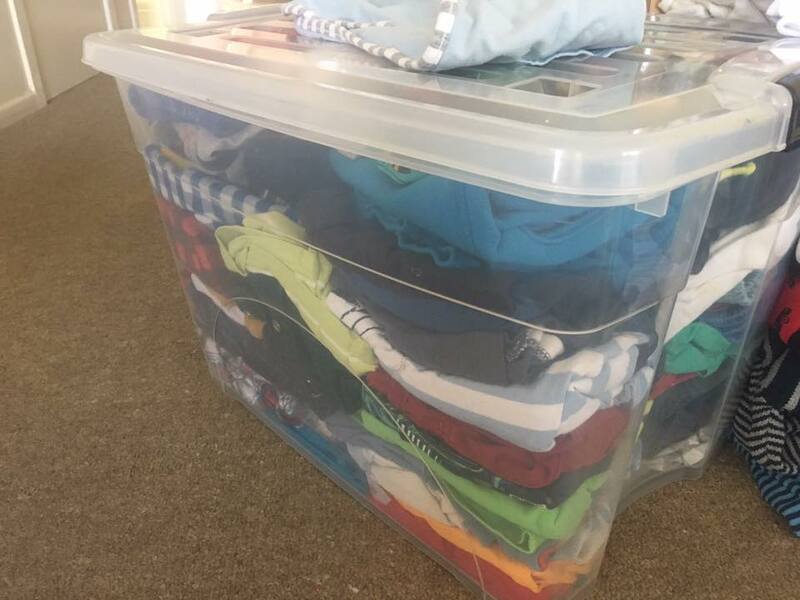 Knowing that these clothes are going to families who need them is way better than having them stored in containers in the corner of my son's room. 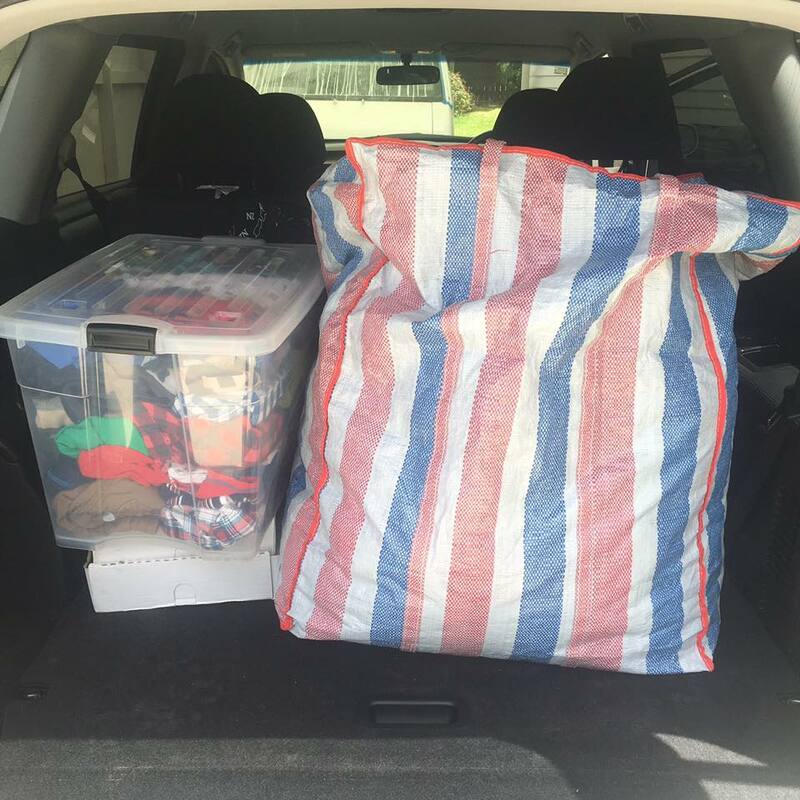 It felt really good - I'm very proud of myself for doing this - I never thought I would part with my son's clothes, but I did! I encouraged Master M to say 'thank you' to the clothes before I put them in the car. I also said 'thank you' and dropped the clothes off. It was such a liberating feeling. I also decided to give the box of Size 2 clothes (40L container) to a close friend. 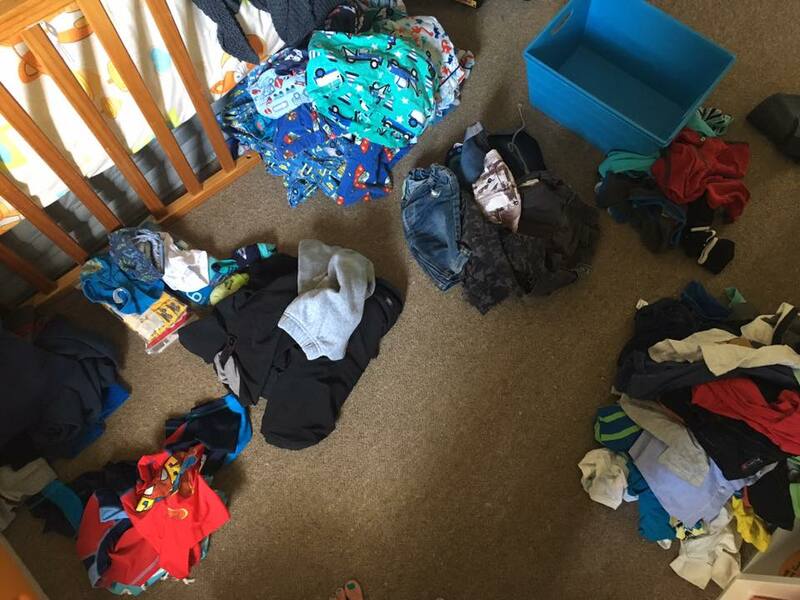 When it came to sorting through my son's clothes, I got him to help me. 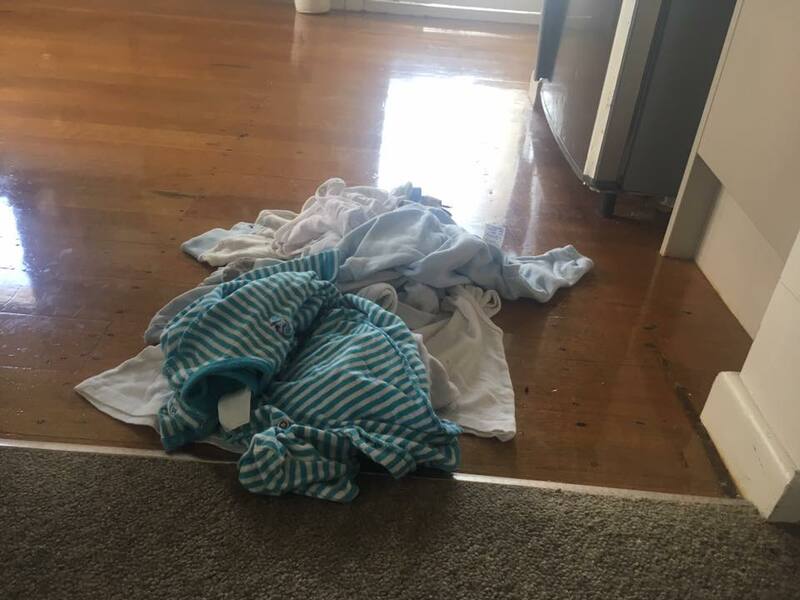 The first thing we did was pulled the clothes out of the drawers - he loved doing this and sorted them into sub-categories: tops, shorts, pants, pyjamas, underwear + socks, and jackets. We went through each sub-category, taking out all of the size 2 clothes (ready to be donated). There were a few size 2 items that my son still fitted and that he liked, so we kept them. For everything else, I handed him items and asked if it makes him happy? and Do you want to keep this? He confidently said YES & NO. 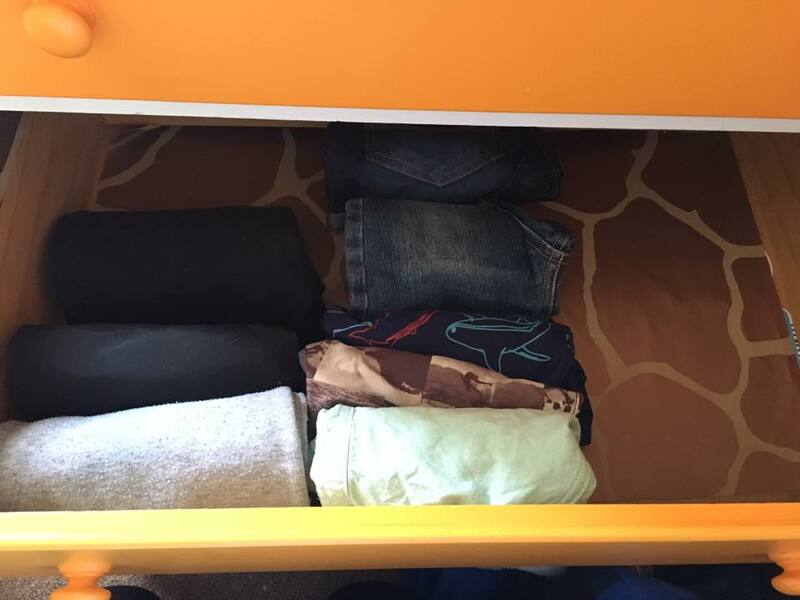 Once he was happy with what he had left, it was time to put them back into the drawers. 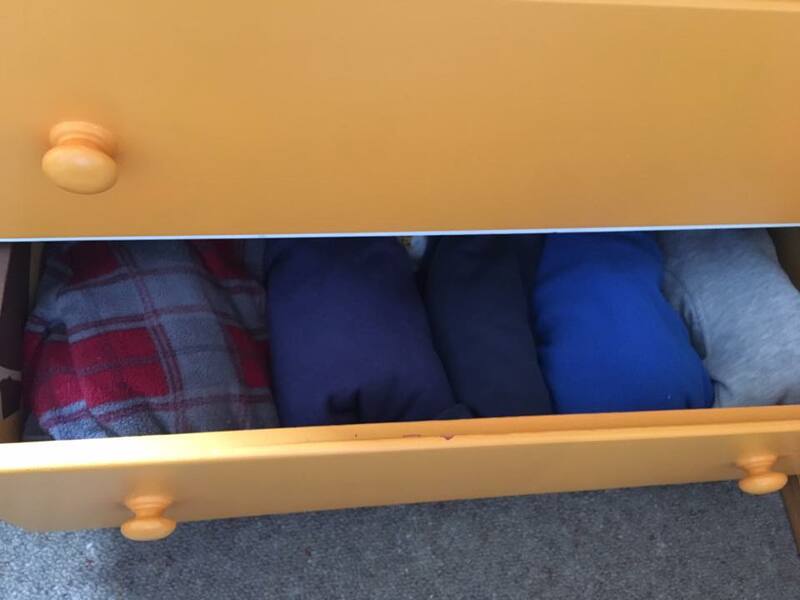 I folded his clothes (KonMari fold) and he placed them in the drawers - it was a great team effort. 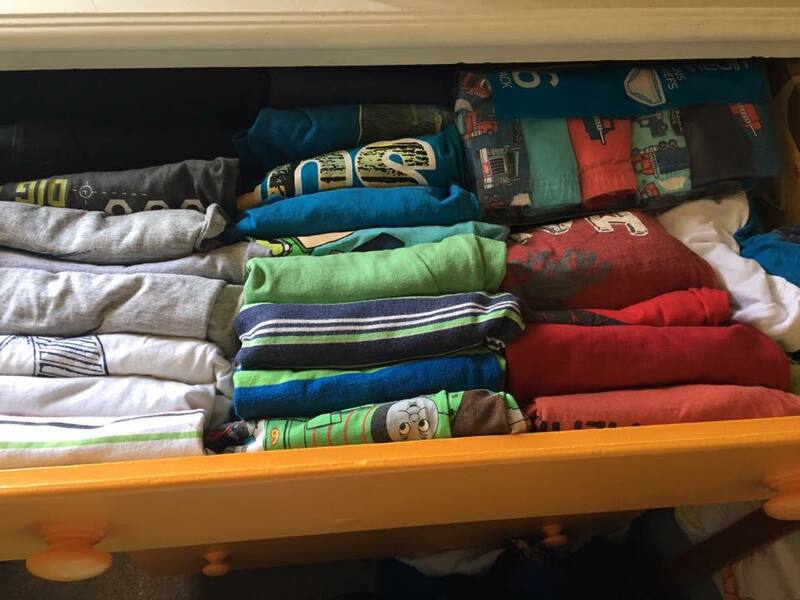 My son loves opening his drawers and grabbing out the clothes he is going to wear. 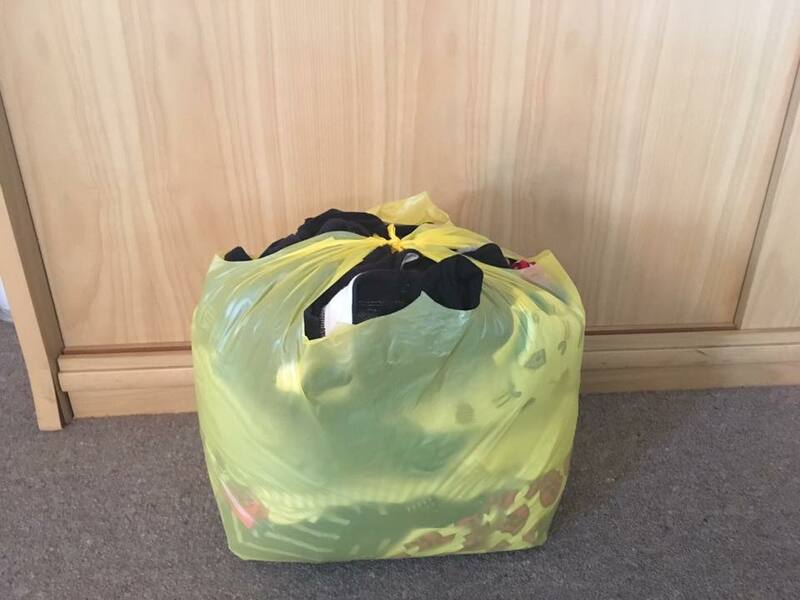 The 'Size 2' clothes that were purged from the toddler clothes were added to the Size 2 clothes container (40L) mentioned above. 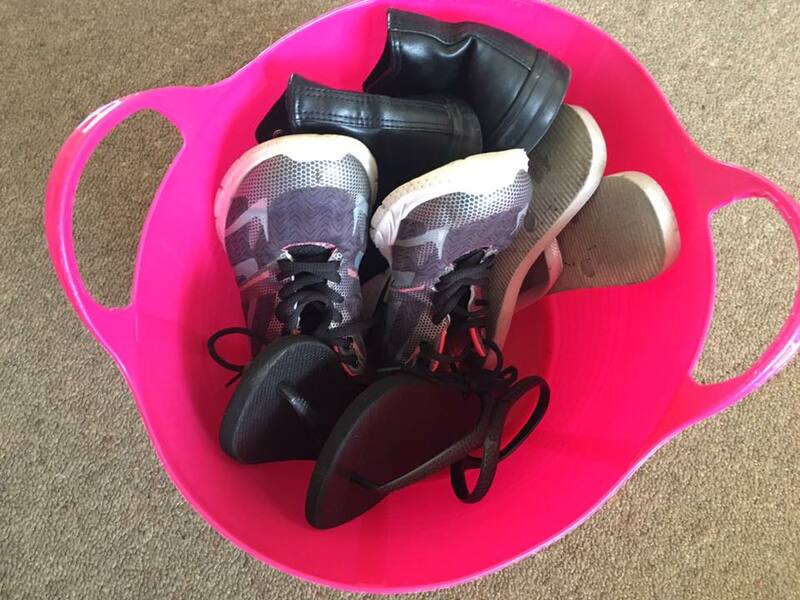 My daughter (soon to be 12) has jumped on the KonMari train and is really excited about using the KonMari method with her belongings. Because she is old enough, she does it all - I am only there to guide her through the method. 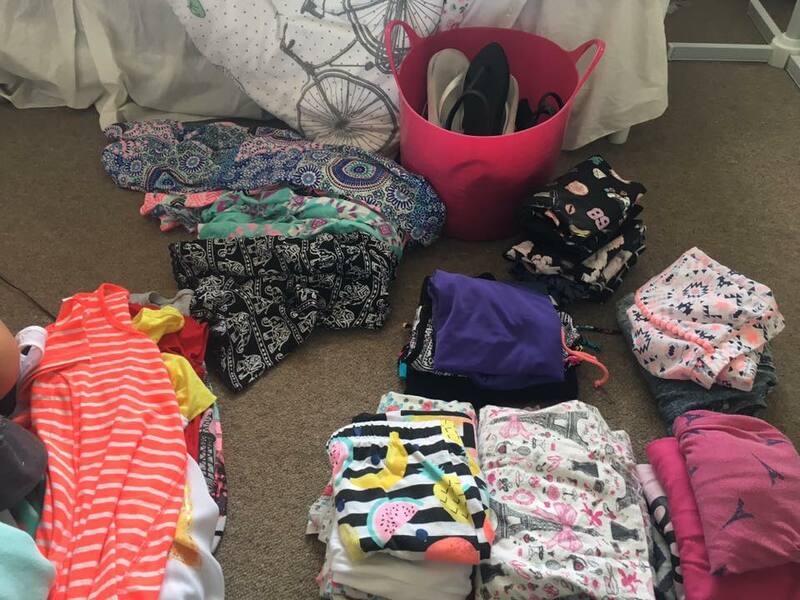 NOTE: In December 2015, before I even started the KonMari method, we did a massive purge of my daughters clothes and donated two full black rubbish bags. 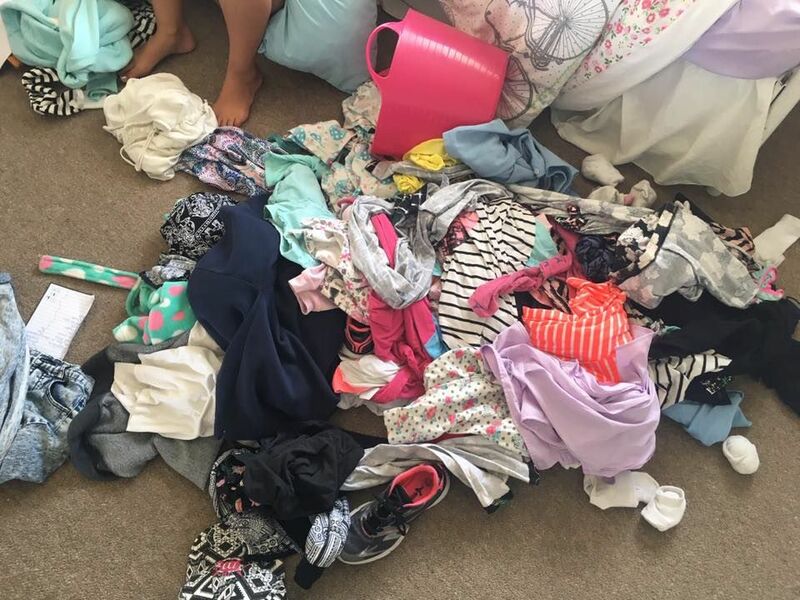 The first thing she did was took out ALL of her clothes and shoes from her drawers and wardrobe and made a pile in the middle of her bedroom floor. 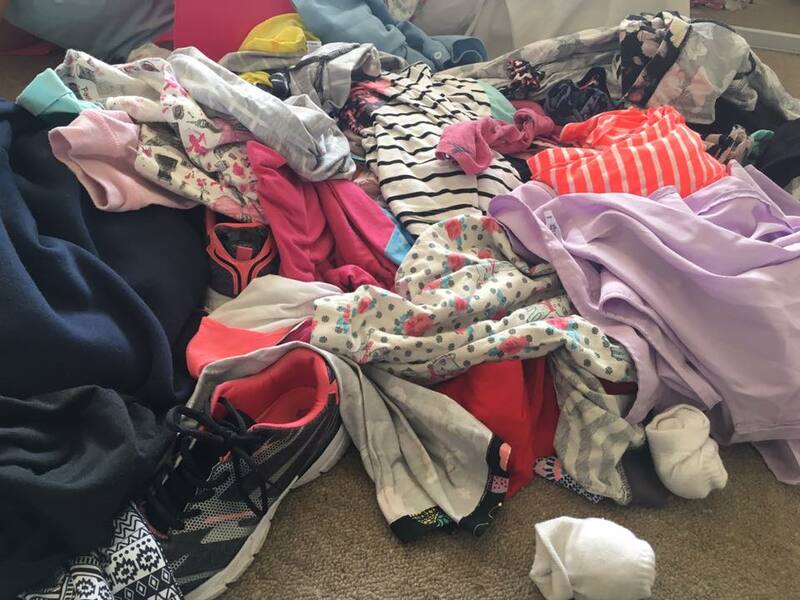 Starting with the tops, she held each item and asked herself 'Does this spark joy' - if it did she put it in her keep pile, if it didn't - she chucked it out of her bedroom door to be donated. 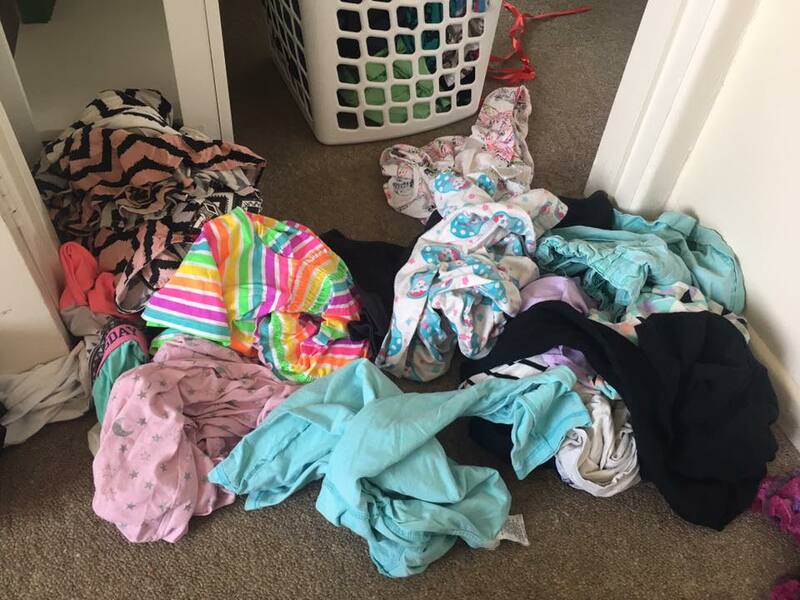 My daughter was surprised at how many clothes didn't spark joy. 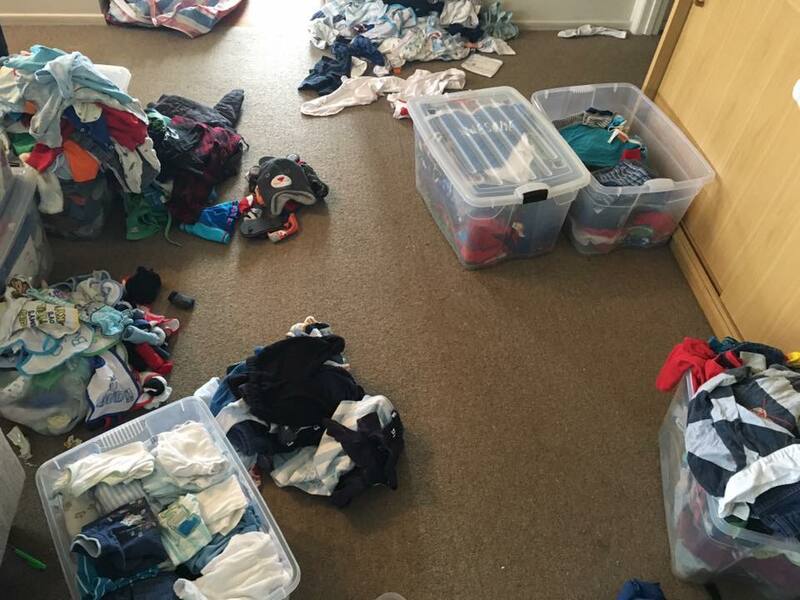 She sorted her clothes into two piles - Clothes for Wardrobe and Clothes for Drawers. 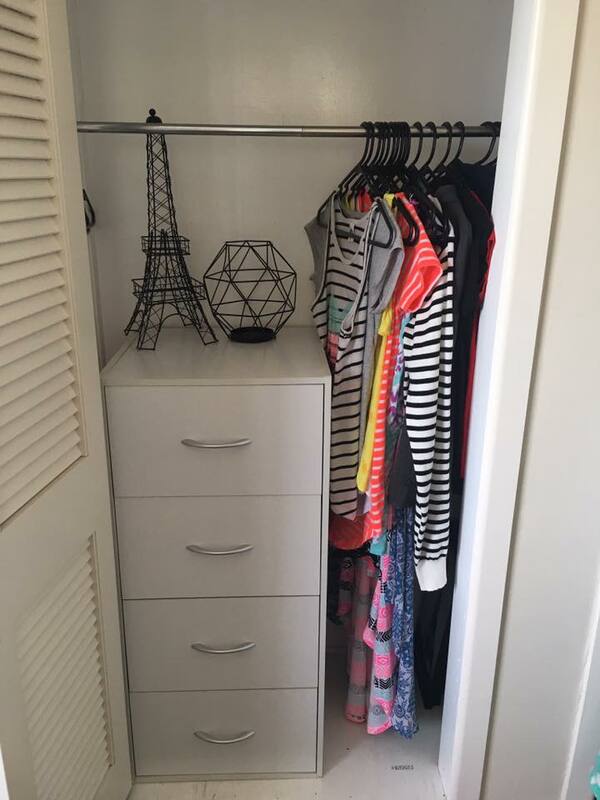 Last year we sold her big tallboy drawers and opted for a smaller 4 drawer tallboy that sits perfectly in her wardrobe. 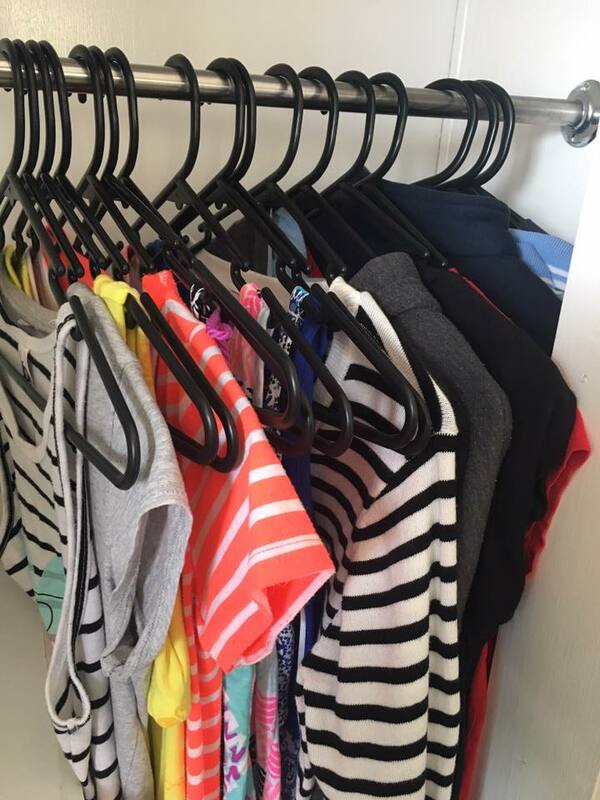 Miss B hung her clothes up in her wardrobe and proceeded to fold the rest of her clothes. 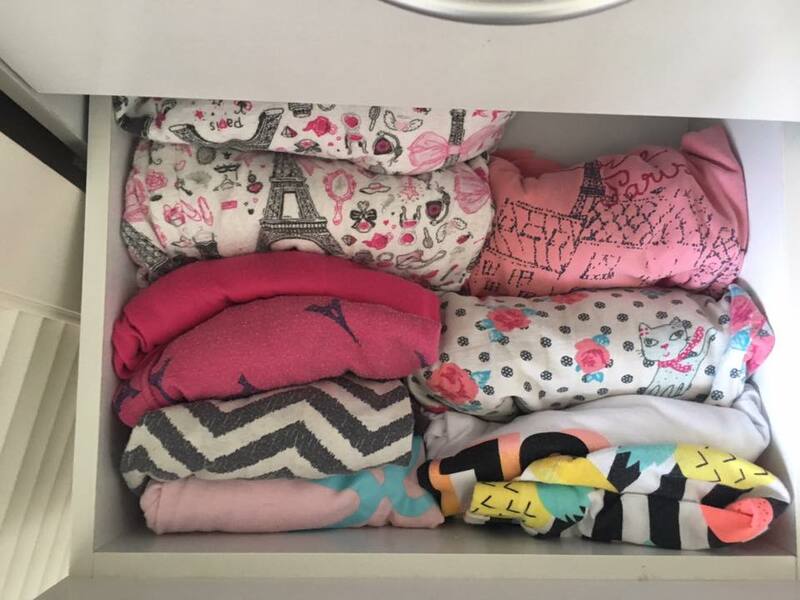 My daughter has taken a liking to the KonMari Folding Method. 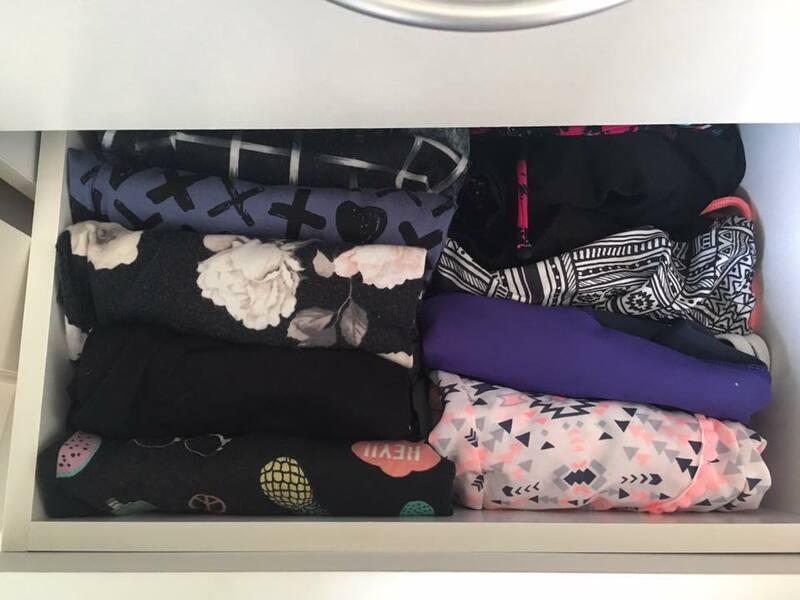 She loves how her clothes look in her drawers and finds it easier to keep them tidy by having everything stored vertically. The top drawer has her underwear and socks (not pictured). She prefers to roll her socks and is totally okay with that. Her bottom drawer is currently empty. Miss B discarded a couple of pairs of shoes, only keeping the ones that spark joy. The flexi tub sits in the bottom of her wardrobe. 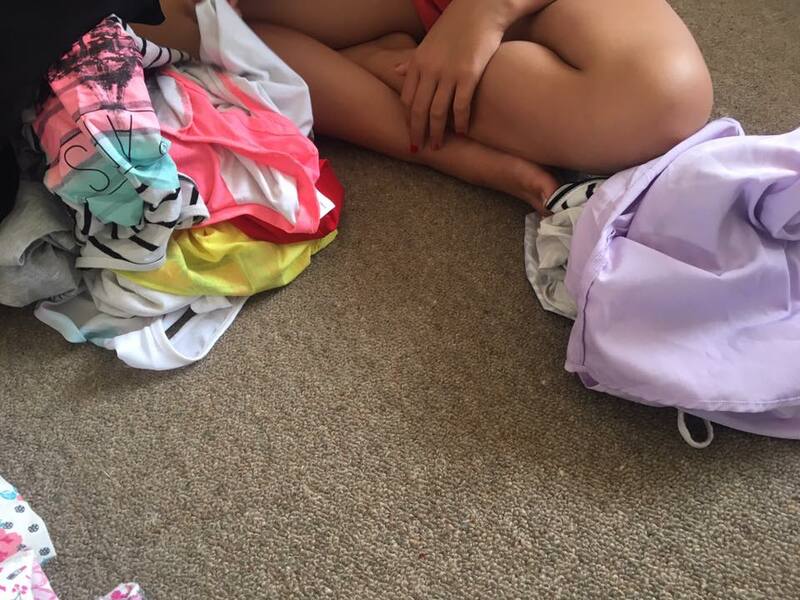 It feels so good going through all of the kids clothes and only keeping the things they NEED and that SPARK JOY! They can actually open and close their drawers and see what's in them. Having less clothes to wash has also made doing the laundry a lot less stressful. 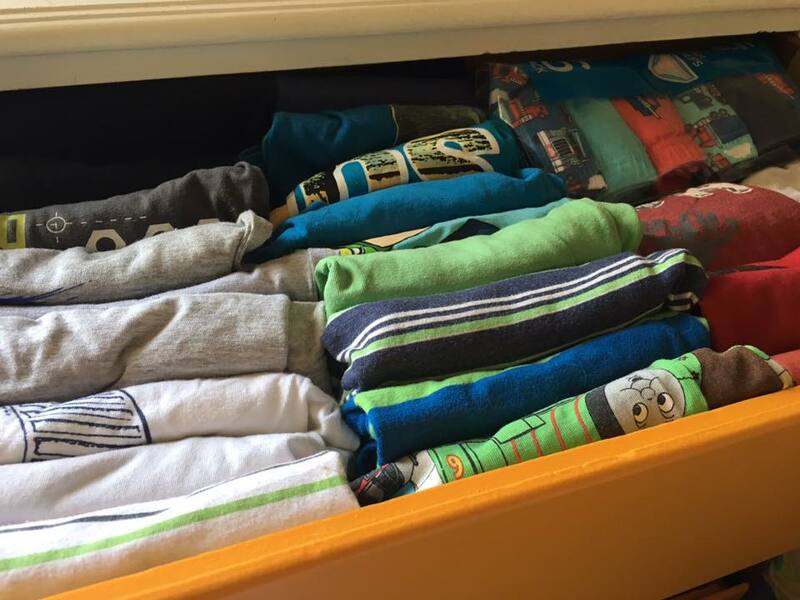 My daughter folds her own clothes and my son helps me put his clothes in his drawers.